I love June. Long days and light-til-late evenings, morning sunshine and the promise of summer vacation ahead. One of my favourite June activities is my annual Fabulous Women weekend on Saturna Island. Amazing women, long walks on the beach, good food, juicy conversation, plenty of love and hugs and support and sleep and lots of laughter. The ferry ride is three hours long with two stops along with way. It’s a great way to unwind. But since I couldn’t leave town early with the rest of the gang, I flew over on a small float plane early the next morning. It took 15 minutes! One of the best things about Saturna Island are the beaches. They are replete with rocks, driftwood, tidal pools and all kinds of marine wildlife and birds. You can explore to your heart’s content, or just sit and watch the waves roll in. It’s hard to get good pictures of marine wildlife. We saw lots of seals and so I have several dozen pictures of a patch of ocean where a seal was JUST before I took the shot. I did manage to get a few, though. Lots of other wildlife to see, as well. You have to drive slowly on the island. There are a lot of deer (no predators for them) which can jump out of the bushes at any moment. This trip, a bald eagle landed on the road in front of us! And then, of course, there was time to relax – to sit in the hammock and read, to look for shapes in the clouds, to hang with amazing women and to watch the sunset. I came home relaxed, more myself, aware of the importance of making time for aimless creativity and, as always, made wiser and kinder by my woman tribe. 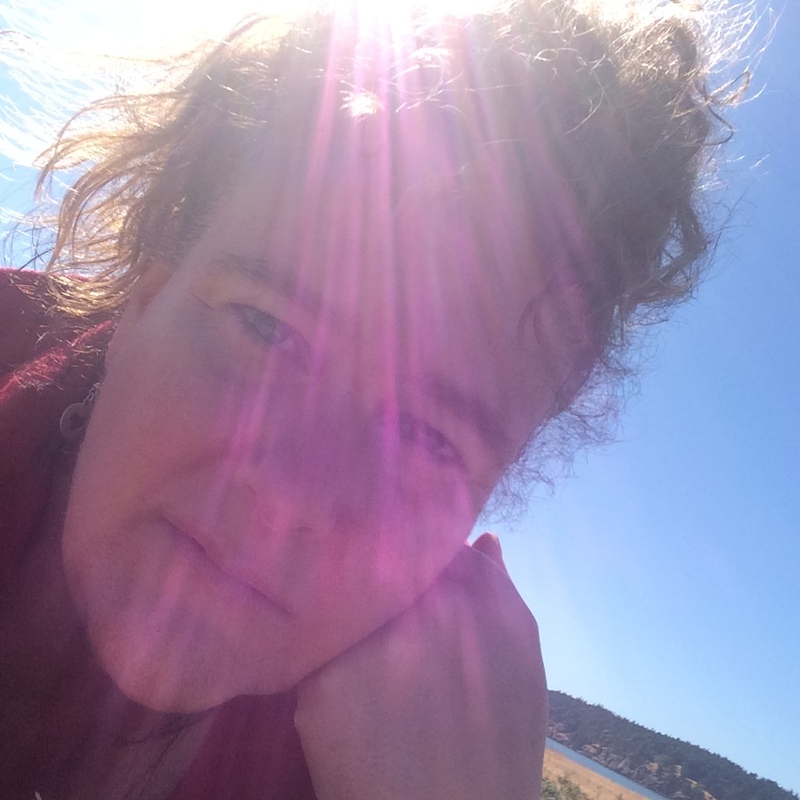 This entry was posted in friends, nature, photos, travel and tagged Saturna Island, woman tribe by WendyA. Bookmark the permalink.